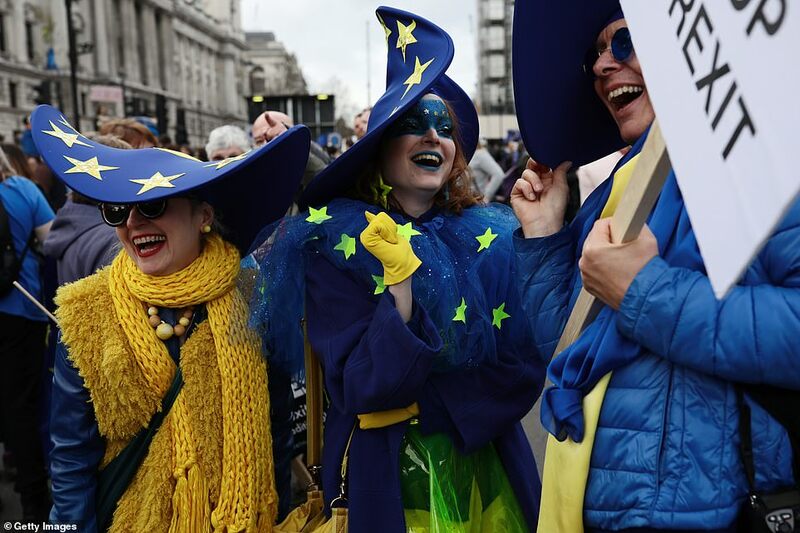 The petition to revoke Article 50 and cancel Brexit is closing in on five million signatures, a day after a reported million people marched through London to demand a new referendum. 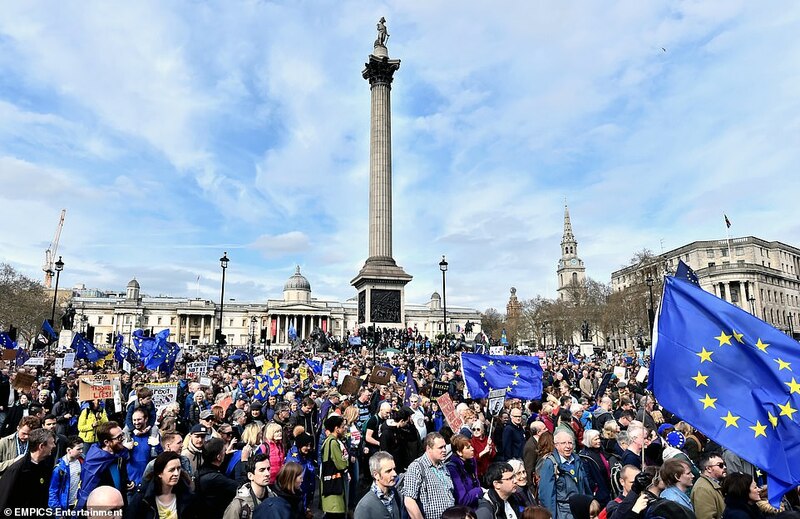 The online movement is now the most popular petition on record as the revolt against Brexit gains momentum amid the chaos of Theresa May's EU negotiations. 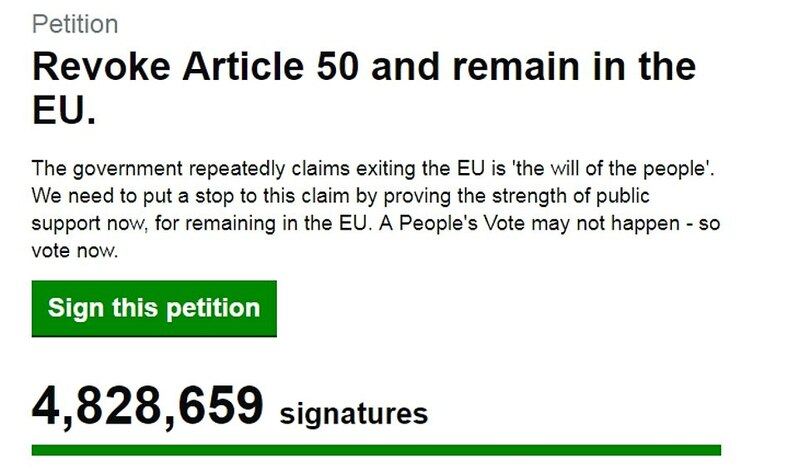 By Sunday morning it had more than 4.8million signatures, surpassing a 2016 petition calling for a second vote, and the website has already crashed repeatedly. 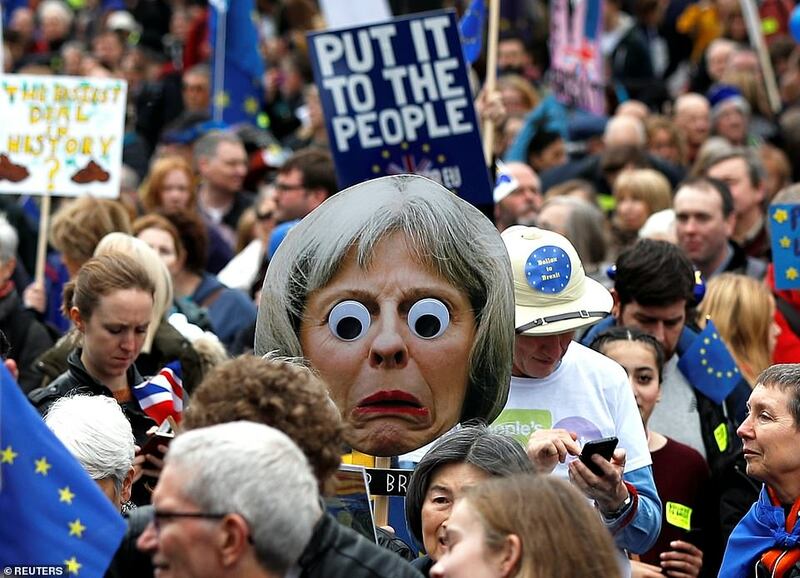 Mrs May has already rejected the petition, which warns that a second referendum or People's Vote may never happen and calls on Remainers to 'prove the strength of public support' for cancelling Brexit. 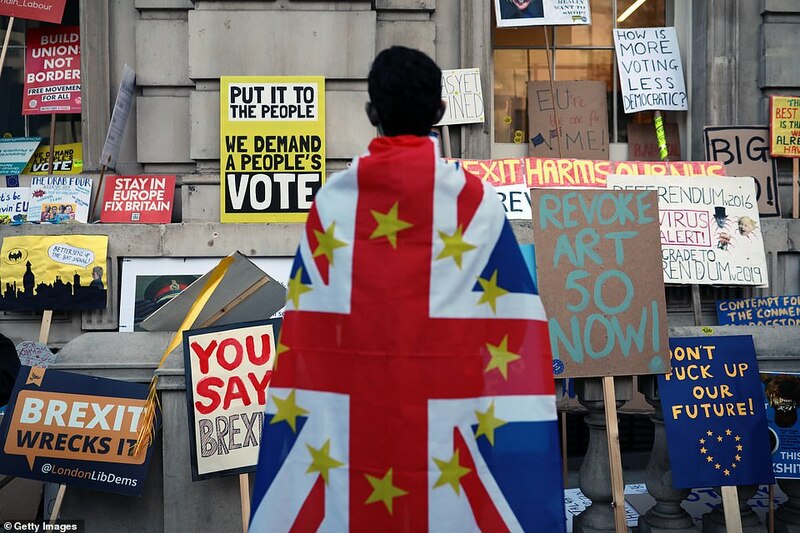 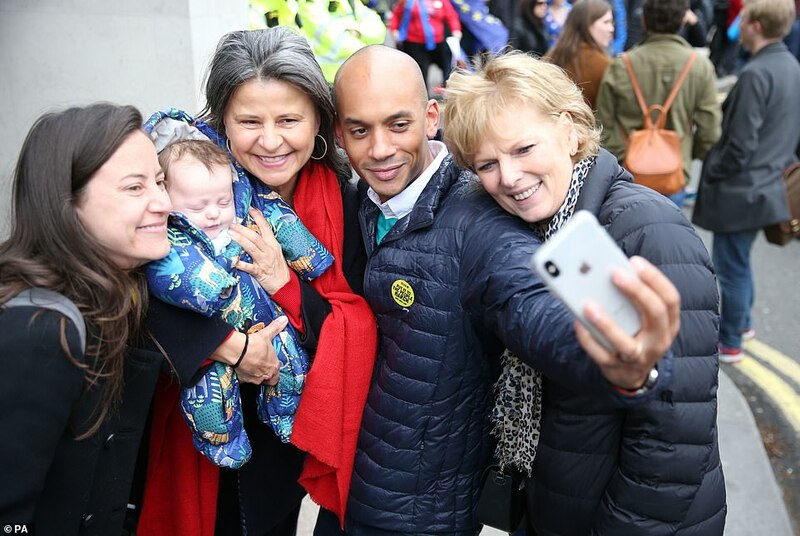 Demands for a referendum have grown as supporters of a People's Vote claim it is the only way out of the current deadlock in Parliament. 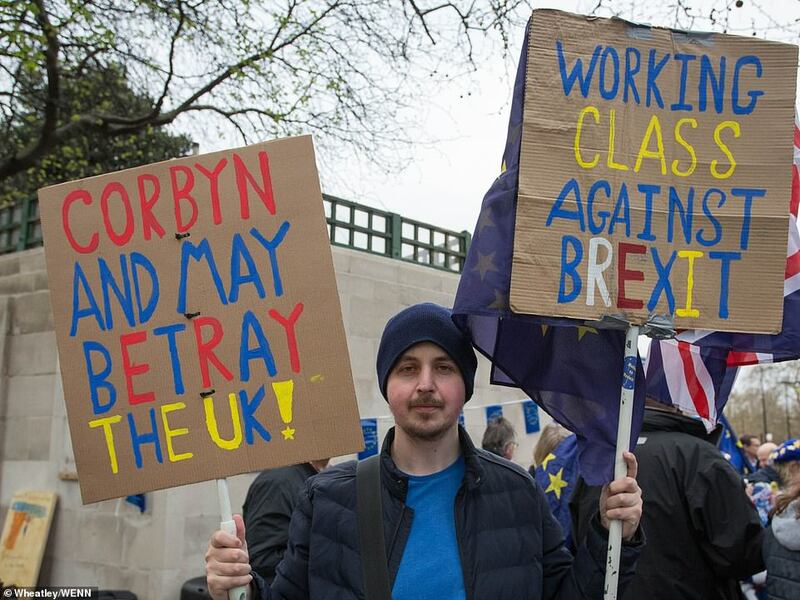 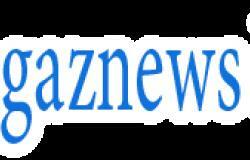 Labour's Jeremy Corbyn has long been cautious of backing a second vote, demanding a general election instead, and last week ordered his MPs to abstain on a Commons motion calling for a referendum. 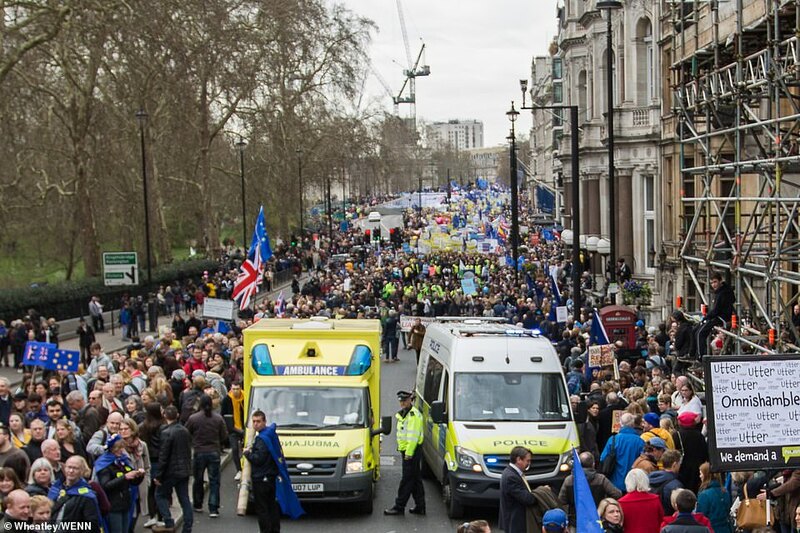 Yesterday organisers of the Put it to the People march claimed one million people joined the peaceful procession through the capital. 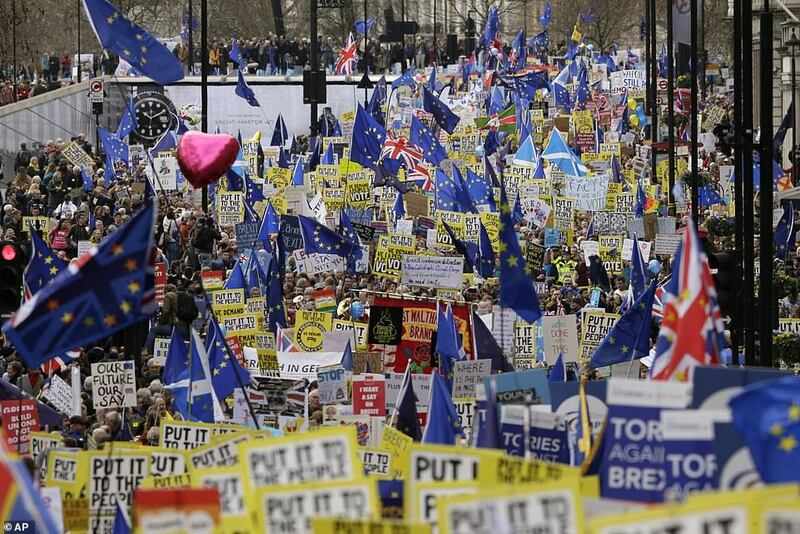 The reported crowd size, which has not been confirmed by police, would be the largest demonstration since protests against the Iraq War in 2003. 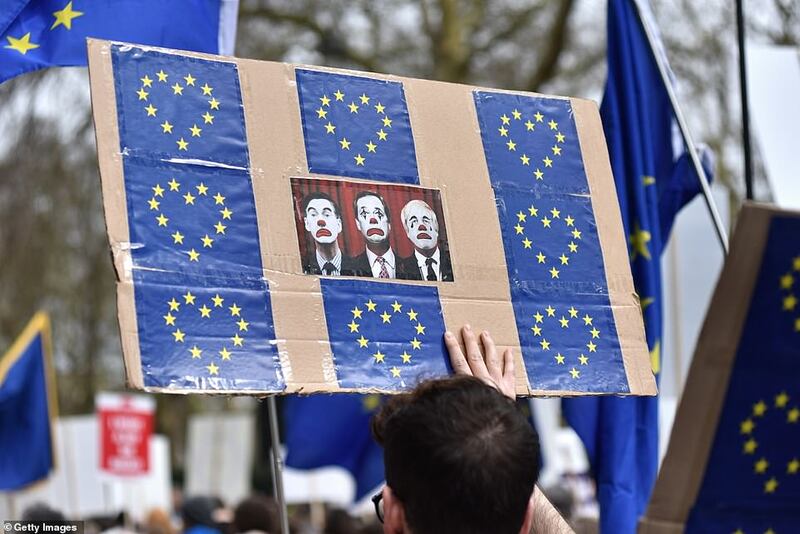 Marchers waving EU flags and carrying their placards emblazoned with political messages weaved their way from Hyde Park Corner to Parliament Square on Saturday as AC/DC's Highway to Hell blared out. 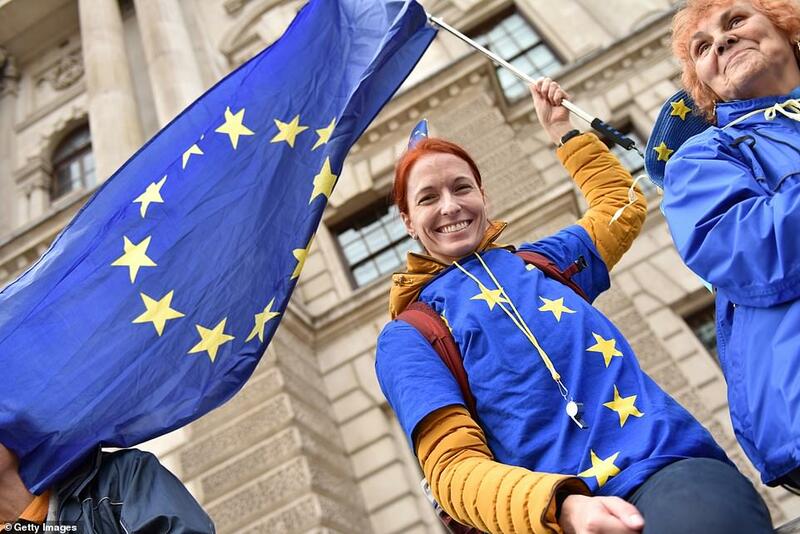 Labour's deputy leader Tom Watson accused the Prime Minister of having 'lost control' of the Brexit process and said he could only back her deal if 'you let the people vote on it too'. 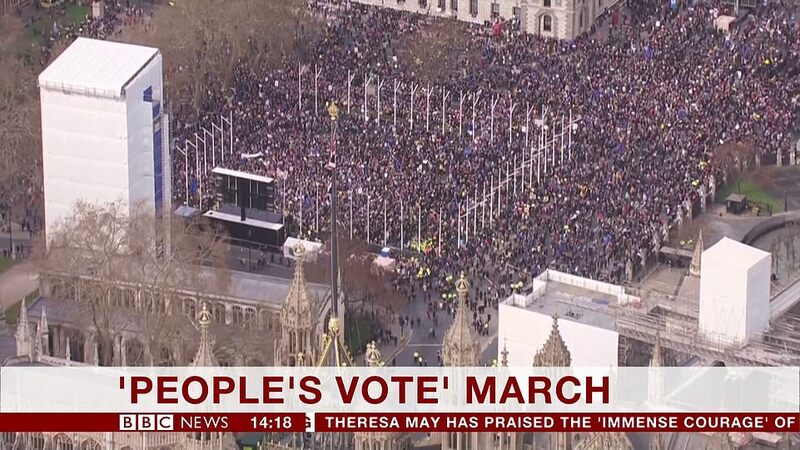 Former Conservative, now Independent, MP Anna Soubry urged her parliamentary colleagues to 'put your country first, get into the lobbies and vote for a People's vote'.